The Canadian Standards Association is a non-profit organization composed of members whose activities are designed to meet the needs of business, industry, government and consumers in Canada and around the world. When this mark CSA appears with the indicator “c” and “us”, this means that the product is certified for Canada. and U.S markets. In addition, the mark certifies that it meets U.S. and Canadian standards, including UL, ANSI, ASME, ASTM, ASSE, CSA, NSF. Multico produce panels for single phase or three phases 600Vac 1000 A / 1000 hp. Manufactured enclosed, mounting types 1, 3, 4 or 12 with certified components, such as circuit breakers, switches, fuses, transformers, contactors, relays, starters, timers, intrinsic safety barrier (IS). Intrinsically safe control panels and assembly (IS). Underwriters laboratories (UL) is a global and independent enterprise. Their objectivity and their past experiences make UL a symbol of trust and they are the keys of this enterprise. When the mark appears with the indicator and “c” and “us” this indicates compliance with Canadian and U.S. requirements. UL encourages manufacturers whose products hold both certifications, as MULTICO, to use the combined mark. Motor control for industrial machinery. These requirements cover industrial control equipment for installation and use of dangerous. The equipment is certified Class I, Division 1, Groups A, B, C and D, and Class II, Division 1, Groups E, F and G, in accordance with National Electrical Code, NFPA 70. Assembly of control circuits (IS). These requirements relate to the ability of a system to withstand explosions and dust plugs. The facilities are certified Class I, Division 1, Groups A, B, C and D, in accordance with the National Electrical Code, NFPA 70. Assembly of explosion proof systems. Mandatory and conformance mark in nature, this symbol is a visible commitment from the manufacturer that the product complies with European legislation and directive. This symbol means that the manufacturer has verified that the product meets all requirements in terms of safety, health and environmental protection requirements. The manufacturer must respect certain steps before the product can carry the CE mark. He must perform a conformity assessment, develop a technical file and the documentation must be available to authorities upon request. At Multico, the quality of our products is a constant concern. From design to shipping, quality control is rigorously applied. 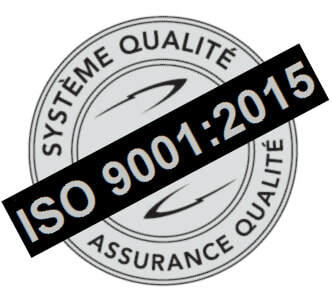 Multico respects the requirements of the ISO 9001-2015 certification. Every control panel that we manufacture meets the requirements of CSA C22.2 14-13 standards and bears the marking CSA, attesting that the product complies with the established standards. Multico is also listed UL for the manufacturing of its control panels. The marking CE on certain European-bound products is also available.